Have I mentioned that I love the Target dollar section this time of year? I picked up the above items for roughly a dollar each, with the exception of the glues, which cost .20 cents each. The best finds for me, were the dry-erase writing boards. They are, in my opinion, an essential product for homeschooling families of K-3rd because you will use them daily. They also allow you to save on money and cut down on the amount of paper you use. Most of the other items are for an idea that a friend of mine gave me a couple of years ago. During the school year, I keep a "School Shop." It is my reward center. During the week, my kids can earn school "money." They can then use it to "buy" things out of the shop. I try to keep the products educational or school related in some way - NO candy. But things like erasers, pencils, notepads, mini-clipboards, puzzles, stamps, books, crayons, mini-markers, etc., are in high demand. So I keep my eyes open throughout the year when I visit Target, Michaels, or other stores. This not only rewards the kids for hard work, but it also teaches them about couting money, how prices work, and saving. Great idea! Your blog is so amazing! Thanks for all the resources you share, especially as we try to decide if homeschooling would work for us!! The facebook updates are really helpful!! Thank you! Thank you for your kind words! It is good to get feedback so that I know if you all are enjoying the information that I share. 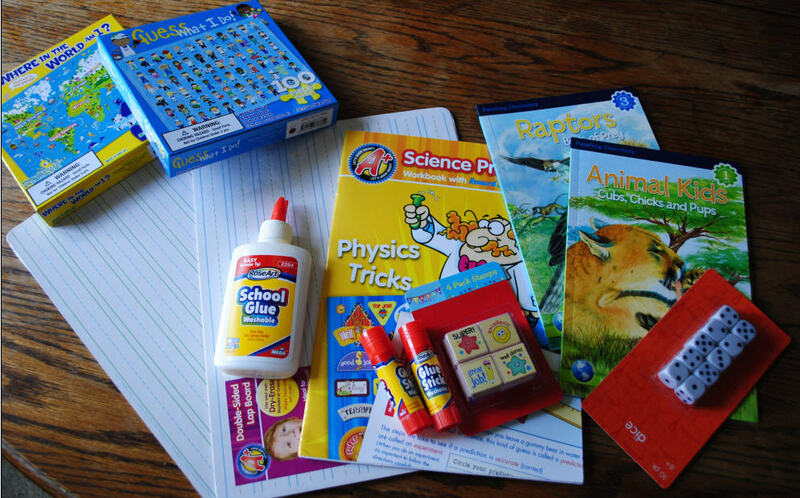 Even if you don't decide to homeschool, many of these resources are a great way to supplement your children's education. They can be used for fun summer learning, or simply for weekend projects.